NLP-Trainers and Master-Trainers worldwide, certified by Christina Hall, PhD. It has been my pleasure, as a NLP Meta-Master Trainer and an Owner of the Society of Neuro-Linguistic Programming, to have certified a select group of individuals as NLP Trainers and NLP Master-Trainers. Please read the Criteria for Certification as NLP Trainer and the Criteria for Certification as NLP Master Trainer. Trainers are listed by country, according to the date on which they were certified as an NLP Trainer. Also included is the following information: city, website and/or email address, as well as a short description of the focus and purpose of their work, written by the Trainer. 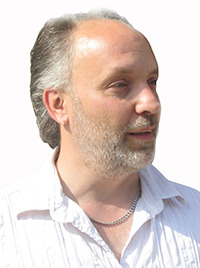 Tobias is the founder of METALOG and does NLP training, team development, leadership training since 1994. He developed the Metalog Method: a solution oriented approach which integrates experiential group activities with systemic and hypno thinking. Besides that he invented several METALOG training tools - materials for trainers. 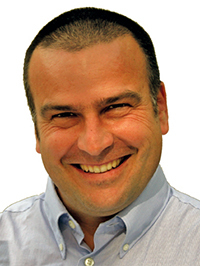 In his normal life he is director of the METALOG branches in Germany, United Kingdom, Turkey and Italy and lives in Munich (Germany) and Chiavenna (Italy). 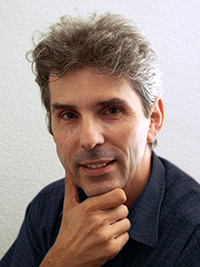 Gilles Roy is the co-founder with Marie Paule Rous, of “Formation Evolution et Synergie” an International NLP Training Institute based in the South of France. They have been running NLP courses for twelve years, as well as coaching and communication trainings, for individuals and corporations. 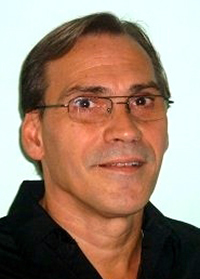 Gilles Roy is also a certified psychotherapist (CEP) with a transpersonal dimension. He is known as a facilitator of successful change and inner transformation. 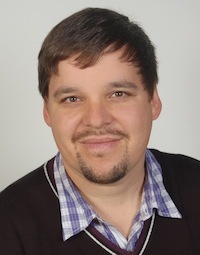 He plays a key role in inviting international trainers and promoting a worldwide NLP network. 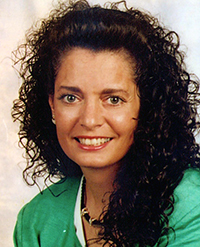 Dr. Arpana Doris Greenwood has been working with people professionally since 1987. Her background is in counselling, psychotherapy, primal – deconditioning, physical emotional release therapies and the esoterics. 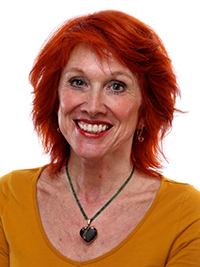 She is known in the East for her Emotional Intelligence & NLP Coaching certification programs. 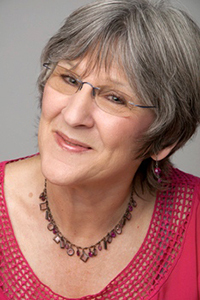 Dr. Doris is acknowledged internationally for custom-designed and delivered corporate trainings in leadership, communication and change management (applied NLP). She certifies all levels of NLP SNLP a program in three levels on NLP Coaching. She offers Trainer Training in Goa, India once a year. Her passion is merging NLP and meditation. 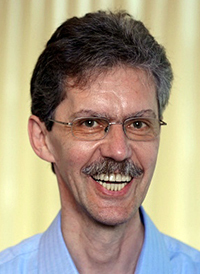 Peter Freeth has been learning, developing and applying NLP in business for almost twenty years, delivering bespoke corporate development programs, corporate NLP Business Practitioner programs and also public NLP training to over a thousand students, across the UK and also internationally. Peter has more direct experience of developing and applying NLP in the business environment than anyone operating in the field today, and both NLP and corporate trainers all over the world can be found using and teaching his innovative techniques. To date, Peter has authored eight NLP related books and he is working on new additions right now as he constantly develops new ways to evolve NLP's body of knowledge. Karim Turki est consultant en relations humaine, Coach et enseignant certifié en PNL. Il est le créateur du réseau Euro-Méditerranéen Arcane Overseas et fondateur de NLP Academy. Installé à Tunis où il enseigne la PNL, il partage son temps entre la consultation individuelle, l'accompagnement au changement des entreprises et la modélisation. Chercheur passionné il s'intéresse aux stratégies d'acquisition du savoir et aux mécanismes de développement de la conscience. With over 40 years of teaching experience in the area of developing human potential capability, Yoko started to teach NLP in 1998. She has served as a teaching assistant for Dr. Christina Hall ’s Trainers Training for the past 15 years. In addition to teaching in Japan, Yoko has also been teaching in Korea. It has been her pleasure to organize Dr. Stephen Gilligan’s training programs in Japan for over 10 years. 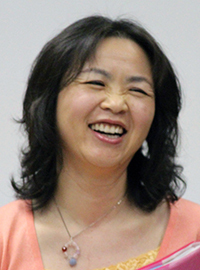 In addition, she is the Co-Director of the International Association for Generative Change IAGC Japan. Yoko has a deep knowledge of Japanese traditional culture and teaching classes in what she refers to as "Japanesque NLP." I support the growth and self-actualization of individuals in both personal and business aspects from wholistic perspectives with my practical knowledge and experience in the NLP and Transpersonal psychology. 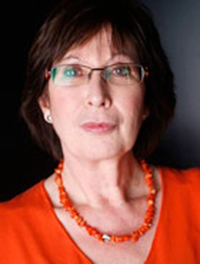 Marie Paule is the co-founder, with Gilles Roy, of “Formation Evolution et Synergie” an International NLP Training Institute based in the South of France. They have been running NLP courses for twelve years, as well as coaching and communication trainings, for individuals and corporations. 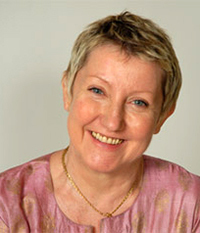 Marie Paule Rous is a successful psychotherapist and a gifted trainer in Ericksonian Hypnosis. She also provides customised trainings to hospitals and health professionals, bringing caring and meaning with her unique style. He is a Ph.D. (Psychopathology and Clinical Psychology) and a Psychotherapist with a Solution-Oriented Therapy emphasis (Group Psychodrama, Ericksonian and Clinical Hypnosis, Ego-states Therapy, Inclusive and solution-oriented therapy, Neurosemantics, transpersonal approach). He is a Supervisor with more than 15 years of experience in institutions and in private practice with adults and children and specialized in substance-related disorders, anxious and mood disorders. 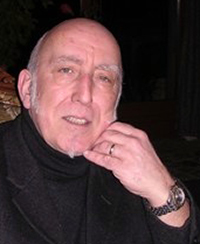 He is an author of technical books and articles about psychotherapy and the "Sensory Modelling®". As trainer, he enjoys using metaphors, role-playing, playful demonstrations and case studies to focus on the psychic processes. Guillaume POUPARD est Docteur en psychopathologie et psychologie clinique, Psychothérapeute spécialisé en Thérapie Brève solutionniste (Psychodrame de groupe, Hypnose Ericksonienne et Clinique, Thérapie des Etats Dissociés du Moi, Thérapie Inclusive et Solutionniste, Neurosémantique, approche transpersonnelle). Il est Superviseur de thérapeutes avec plus de 15 ans d’expérience en libéral et en institution avec des adultes et des enfants et s’est spécialisé dans les troubles addictifs, les troubles anxieux et de l’humeur. 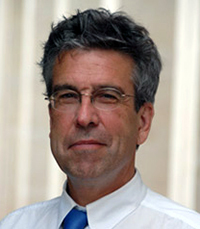 Il est l’auteur de livres et d’articles techniques sur la psychothérapie et sur le « Modelage Sensoriel® ». En tant qu’enseignant, il aime former avec des métaphores, des jeux de rôles, des études de cas et des démonstrations ludiques afin de porter l’attention sur les processus psychiques. Enseignante en PNL, diplômée en coaching et en hypnose ericksonnienne, Psychothérapeute certifiée, Anne Castaing transmet les outils de la PNL à travers l’accompagnement personnalisé des personnes et des groupes, tant sur le plan personnel que professionnel. Coaching professionnel, pour l’accompagnement des cadres, des dirigeants et des porteurs de projets. Coaching personnel, pour développer des ressources professionnelles ou personnelles. Psychothérapie, pour les personnes souffrant de problèmes émotionnels ou comporte-mentaux. Mon objectif à travers l'enseignement de la PNL et de permettre aux personnes de découvrir leurs potentialités et de les exploiter afin de vivre leur vie de façon pleine et entière que ce soit dans leur domaine de vie personnelle, leur couple, leur famille, leur travail, leurs relations avec les autres. Teaching in South of France, I offer NLP training (practitioner and master-practitioner) and Ericksonian Hypnosis. I’ve created my own institute called “Génération Formation” also offering Coaching, brief therapy, Enneagram and others trainings. Ancien Directeur pédagogique d’un Institution pour Adolescents en difficultés. Maître-Praticien et Enseignant en PNL. Thérapeute familial par l’analyse systémique. Praticien et Maître-Praticien en Hypnose Ericksonnienne. Thérapeute en hypnose thérapeutique. Thérapie individuelle, couple ou familiale sur rendez-vous. Donne des formations certifiées de praticien et maître praticien en PNL. Formations à la communication, analyse systémique, utilisation du genogramme, gestions de conflits, gestion des émotions. Et reçoit en consultation sur rendez-vous. Enseignant en PNL, dilplômé en hypnose Ericksonienne et en hypnocoaching. Jacques PUEL propose des formations en PNL en France et au Maroc. Il est coach en préparation mentale du sportif de haut niveau. Il exerce aussi le coaching en entreprise, et le life coaching. Passionné par l’art du changement, et le développement de la PNL, il consacre une autre partie de son temps à l’écriture, et à la recherche en modélisation de l’excellence. Ce qu’il aime : Former avec humour, conter des histoires, rendre accessible ce qui n’y paraît pas, apprendre avec plaisir, s’émerveiller de la multitude de ressources que l’être humain mobilise. An NLP teacher, graduate in Ericksonian hypnosis and hypnocoaching. Jacques PUEL offers NLP training in France and Morocco. He also coaches high performance mental preparation in sports, business, and in schools (learning to learn). 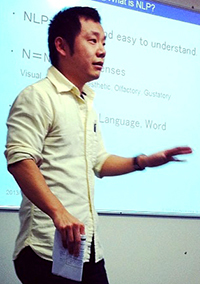 Passionate about change arts he spends a good deal of his time writing and researching in NLP modelling. What he enjoys most is training with humour, telling stories, making what seems difficult accessible, learning with pleasure and marvelling at the multitude of resources that human beings can mobilize. Fondatrice de l’école de formation L’Espace Oxy’Zen à Nîmes, dans le gard, Delphine Jean enseigne la programmation neuro linguistique et l’hypnose ericksonienne. Elle propose également des séances d’accompagnement individuel à son cabinet de Nîmes et de Montpellier. Dirigeant de l’Institut Massilia Coaching, j'interviens auprès de différents publics, j'enseigne la PNL et l’hypnose Ericksonienne, et accompagne également en individuel ou en groupe des jeunes et des adultes. J'exerce comme superviseur en PNL, notamment auprès d’orthophonistes. Titulaire d’un Master en Conception et Mise en œuvre de Projet, je suis diplômé en Ingénierie du Management. Maître-Praticien en hypnose Ericksonienne, je suis formé à différentes méthodes d’enseignement ainsi qu’en Thérapie des Etats du Moi (EST), en Human Element, en Analyse Transactionnelle et au Carré Fondamental. Par ailleurs, je suis aussi metteur en scène depuis plus de 20 ans et j'interviens sur d'autres projets de créations (cours métrages, écritures...). 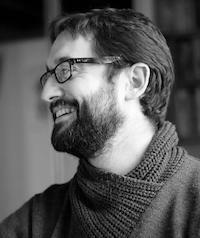 Florent Fusier work as a coach, consultant, and trainer since 2008. He is the authour of two books on personal development with NLP («L'art de maîtriser sa vie» et «Vie Optimale»). 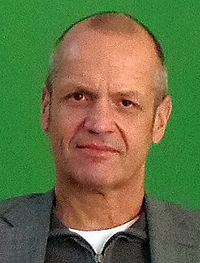 He trains NLP and Coaching in France, Luxembourg, and Indian Ocean (La Réunion). 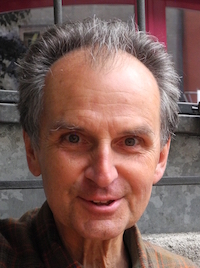 His focus is on coaching and modeling applications with NLP and Neuro-Semantics tools. J’ai choisi comme mission de vie de contribuer au bien-être des personnes et favoriser leurs relations. Je propose des formations en coaching et en PNL ; je suis certifié Enseignant certifié de la fédération Française NLPNL, certifié Enseignant en Coaching et Enseignant en PNL avec The Société of NLP. Je suis diplômé universitaire en coaching, je coache depuis 2003. My main mission is to contribute to the overall enrichment of peoples lives and relationships with others. I offer NLP and coaching trainings. I am certified as a NLP Master trainer from the French Federation NLPNL, and certified in the art of Coaching and also as an NLP Trainer with the Society of NLP. In addition, I have a university Coaching diploma and have been coaching since 2003. Sie suchen einen passenden Berater und sehen den Wald vor lauter Bäumen nicht. Einer scheint kompetenter als der andere zu sein. Tolle Webseiten, gutsitzende Maßanzüge und schlau klingende Empfehlungen und Sie fragen sich: Wer ist der richtige? Ihr Anspruch an den Berater ist, neue Kenntnisse und Fähigkeiten zu kreieren und bei Veränderungsprozessen im Zusammenhang mit einer beruflichen oder privaten Neuorientierung zu ermutigen. Oft sind die Bedürfnisse einfach einmal jemanden zu haben, der Ihnen auf Augenhöhe empathisch zuhört und der Ihnen intelligent einen Spiegel vorhält. Dabei geht um Klarheit in der Entscheidungsfindung, der Sinn des Lebens, Liebe, Lob und Anerkennung und Lebensqualität. Ihr Anliegen ist es, Entlastung zu haben, um Ihr Ziel schnell und erfolgreich zu erreichen. Der Berater unterstützt Sie mit seiner umfassenden Kompetenz, ihre Herausforderungen zu meistern und Ihren gewünschten emotionalen Mehrwert schnell zu erhalten. 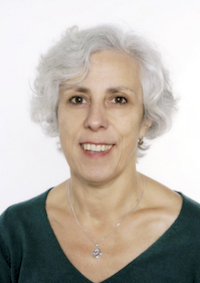 Frau Cornelia Siegmann, cert. NLP Trainerin, bewegt sich im Feld des NLP sicher, ergebnisorientiert und mit einem lachenden Zinkern in den Augen. Melden Sie sich am besten telefonisch oder per E-Mail bei mir. Um herauszufinden, ob und wie wir für eine Zusammenarbeit geeignet sind, biete ich Ihnen ein kostenloses Erstgespräch an, bei dem wir entscheiden, welcher Ansatz für Sie am sinnvollsten ist. The overall purpose of my work is building consciousness as a means for participating in and creating a joyous, fulfilling and rewarding life in all its domains. The main focus of my work is twofold. One focus is enhancing organizational efficiency and effectiveness utilising the skill and the motivation of their people. The other focus is supporting and creating clarity, coherency and congruency as well as resiliency and and orientation in personal life with spiritual, mental, physical and emotional aspects. I encountered NLP in 1993 and was immediately fascinated by its effectiveness and stuctured approach. It went easily along with my study of mathematics and broadened my approach to people and the world around me enormously. My specialty is language and de-hypnosis and the emphasis of my work is to go beyond what we take for given. I offer NLP trainings since 1998 as a guest trainer in Practitioner or Master Practitioner tracks mainly on the topics of language, hypnosis and de-hypnosis, meta-programs. My first contact with NLP was in the early nineties. I was enthusiastic about the NLP-methods at once because by using them in coachings and training seminars, my clients achieved quick and convincing results. I deliver annual NLP-Practitioner and Master Practitioner courses. The participants come from various fields such as psychotherapy, teaching, sales and management. Moreover I work as a business consultant. My main focus is the training of key competencies. For me these are the readiness for change, the ability to cooperate and the ongoing development of ones personality. In my training seminars I combine self-experience exercises with phases of reflection and transfer to everyday life within a goal-oriented seminar structure. By the way – I love to make use of dry humour! Coaching, Mediation, Supervision für Gruppen und Einzelpersonen aller Altersstufen und aller beruflichen Bereiche. Spezialseminare in den Bereichen Personal Performance, Business Management, Gesundheit, Lehren & Lernen, Bildung & Erziehung, Rhetorik, Vermittlungstechniken, Präsentation. Meine langjährige Berufserfahrung als Pädagogin und meine Authentizität als NLP Lehrtrainerin begründen die tief greifende methodisch-didaktische Praxis und den damit verbundenen hohen Praxistransfer meiner Trainings und im Coaching. Ich bin stolz darauf, zu den von Chris Hall ausgebildeten Trainern zu gehören und eine Trainerin zu SEIN, die ihre Teilnehmer und Klienten durch ihre eigene Begeisterung motiviert. Besonders wichtig ist mir, Lebensfreude und Lust auf Veränderung mit Leichtigkeit zu vermitteln. Das tue ich in meinen Ausbildungsgruppen zum NLP-Practitioner und NLP-Master-Practitioner, in Tagesseminaren verschiedener Bildungseinrichtungen und im Einzelcoaching. Aus den Kursen, in denen ich mit NLP-Methoden Unterstützung beim Abnehmen gebe, ist mein Roman "Wunschfigur" sowie eine CD mit 8 Entspannungstrancen entstanden (Schirner-Verlag Darmstadt, Juli 2012 und Mai 2013). Neugier auf die Landkarte im Kopf meines Gegenübers, Sorgfalt im Umgang mit den NLP-tools, Humor und die Bereitschaft, täglich dazu zu lernen, gehören zu meinem Handwerkszeug. Welchen Einfluss haben unterschiedliche Bewusstseinszustände auf Zielsetzungen, effektives Handeln im Alltag und auf Lebensfreude allgemein? Wie kann man wünschenswerte Bewusstseinzustände wachrufen und therapeutisch nutzen? Diese Fragen bestimmen den Fokus meiner professionellen Tätigkeit. Meine hauptsächlichen Werkzeuge im individuellen Coaching und im Training sind das klassische NLP, Ericksonsche Hypnose und Neurofeedback. Die Teilnehmer in meinen NLP Practitioner - und Mastertrainings stammen vorwiegend aus dem heilkundlichen Bereich (Ärzte, Zahnärzte, Heilpraktiker und Psychotherapeuten). Studium der Sozialpädagogik. Seit 1991 Bereichsleiter in einem großen Stuttgarter Sozialunternehmen. Leiter des Instituts für EMDR und NLP in Tübingen, Begründer und Leiter des Forums für Impulsberatung. Ich bin NLP Lehrtrainer (DVNLP und der Society of NLP, USA) und trainiere seit 14 Jahren NLP Practitioner- und NLP Master-Ausbildungen. Ich gebe Kurse zum Thema Stressmanagement, Kommunikation, Konfliktmanagement und Mentaltraining. Ein weiterer Schwerpunkt sind EMDR Ausbildungen (nach Richtlinien der Society of NLP). Seit 2001 Leitung von über 16 NLP-Practitioner und Master Ausbildungen. Seit 2011 zahlreiche Kurse zur EMDR Ausbildungen in Tübingen, Stuttgart, Wien, Ischia und Karlsruhe. Seit 2012 Lizenz zur Ausbildung zum Stressberater / Coach in Stress Management nach Richtlinien der Society of NLP. 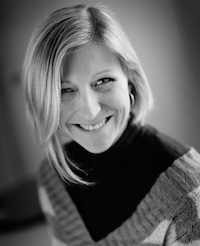 Melanie König ist zertifizierte NLP-Trainerin der Society of NLP und in Ausbildung zur NLP-Master-Trainerin (Christina Hall, the NLP Connection, USA). Sie bietet Seminare, NLP-Ausbildungen und Coaching an, und arbeitet als Trainerin für Menschen in Unternehmen und non-profit-Organisationen sowie im Gesundheitsbereich. Kongruenz (Echtheit) für selbstbewusste und überzeugende Präsentation des Ichs in der Welt. "Mir ist wichtig, Menschen respektvoll und energiereich in Ihrem Veränderungsprozess zu unterstützen, und ihnen Türen zu einer Fülle an Möglichkeiten zu öffnen, auf die sie jederzeit Zugriff haben können. Einer meiner Grundsätze: Da ist soviel mehr, wo das schon herkommt!" Meine Zielsetzung: die Chancen und Risiken der persönlichen Leistungsfähigkeit erkennen und nutzen und in der Zusammenarbeit (im Zusammenleben) davon profitieren. Meine Voraussetzung: eine langjährige betriebspraktische Erfahrung als Betriebswirtin und Führungkraft, einfühlsam und zugleich engagiert zupackend als Beraterin, Trainerin und Coach, und, nicht zuletzt, die Erfahrung aus der Medizin und Therapie in der Zusammenarbeit und Partnerschaft mit dem Ehemann Dr. Gerald Weiss, Arzt. Bei BrainStorm erkennen Sie die Kraft der Sprache. Wir unterrichten Sie in bewusster Sprache. In Kombination mit NLP lernen Sie auf Basis des strukturierten Denkens zielgerichtet artikulieren und argumentieren. Bei BrainStorm ist Coaching ein Prozess, in dem Klienten die Chance und den Freiraum nutzen, relevante Themen situationsbezogen zielorientiert heben und gemeinsam mit dem Coach (Trainer) an ihnen arbeiten. Sie werden erkunden, entdecken und wertschätzen, was an Gutem da ist. Bei BrainStorm erweitern Sie Ihre Kompetenzen in Bezug auf Ihre Glaubenssätze, Orientierungen, Fähigkeiten und Verhaltensweisen. Sie entdecken Ihre Fähigkeiten wieder und werden zum richtigen Zeitpunkt die richtige Kompetenz nutzen. Lernen in angenehmen Klima – Spaß und Freude beim Schärfen der eigenen Wahrnehmung – Verantwortungsbewusstsein im Umgang miteinander – Beachten der ethischen Grundsätze – Respekt und Wertschätzung – Authentisch im Umgang mit sich und anderen: das sind Aspekte, die mir im Coaching und Training wichtig sind. When interacting with others we as individuals do so in a variety of different ways, depending on whom we are interacting with (or to use our terminology, depending on what “system” we’re in). Sometimes we are satisfied with our behavior and its outcome, sometimes both leave a little something to be desired. The same is true with the interaction we have with ourselves, in body as well as in mind (inner systems). In our work we focus on making knowledge and techniques available to our clients with which they can optimize their interaction, their communication, with others and themselves. Thus we offer workshops in themes as varied as Teambuilding (creating a new system), Conflict Management (handling challenging systems), Intercultural Training (when two or more systems with different cultural values meet), Body Therapy (knowing, understanding and improving your physical system), and many others. In teaching and practicing NLP the spiritual aspect is very important to me : I want to support love, consciousness, and taking responsibility for oneself. I use the presuppositions and brilliant tools of NLP to teach people how to direct their thinking processes in helpful and supportive ways. I want to support myself and others in living our potential, our skills and our wisdom. I am running workshops and trainings in many different countries – but whatever social coditionings we face in each workshop we explore how to experience our strength, our body, our emotions and thoughts as our helpers and to use them to improve the quality of our lives towards more joy, harmony and inner peace. 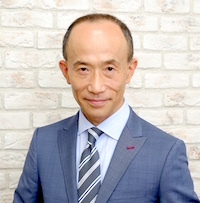 Hirohito Kotera has 17 years of experience as a chief business consultant in one of the largest consulting firms in Japan, and has taught in more than 600 leading companies. He now works as a human resources consultant for Value Creation (VC), a company that he co-founded in 2006. With its mission statement in mind – “To support people to work with such passion and enthusiasm, it will lead to higher corporate profits, enabling their companies to be the best corporate citizens they can be”– VC has created and taught many programs based on NLP. Those programs are structured by integrating NLP, coaching, and wisdom inherited in ethnos since ancient times, that remind you the connection to yourself, humans, and nature. Yasuhiro Kotera is currently the youngest certified NLP trainer in the world. Yet, he has already taught NLP in various environments, like large international companies, universities and during open seminars hosted by Value Creation, a company which he co-founded. He also coaches people of all ages and backgrounds. He values effectiveness, flexibility and humor in his coaching and training. Personal transformation in business, the opportunity to explore the application to the education and the development of personnel resources are offered through the process of learning and the experience of NLP. NLP courses are produced for the person in whom training and the human talent management are involved. It is my true vocation. I work for a large US-based multi-national firm. I develop and deliver the training programs for Leadership Development, OD as well as other programs. I also conduct research in the field of “organizational socialization” and “career commitment” through my background as a Master of Science in Psychology and a member of JAHRD – Japanese Academy of Human Resource Development . In order to further my mission of maximizing individual potential and becoming an innovation hub that can contribute to society, I design workshops for coaching, career design and so forth, leveraging the NLP approach. Séamus designs and delivers a wide variety of of innovative programmes and trainings in Coaching and NLP for teachers and educational organisations including Practitioner training in the Applications of NLP in Education. In business contexts, he offers coaching services as well as tailored success-orientated business skills training solutions. He is a licensed facilitator of ‘The Coaching Clinic®, a two-day programme in core coaching skills for managers and leaders. Séamus offers his highly participative, interactive and dynamic trainings as well as his coaching services in both English and Spanish. Séamus’ passion is to support others to develop their potential and become themselves at their very best so that they can enthuse and inspire those around them and thereby co-create motivating and enriching learning and change. 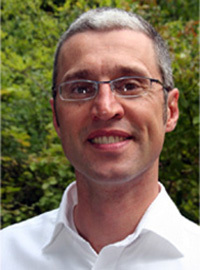 Jérôme Saurin trains in Hypnosis & NLP. He has a private practice in Valencia, Spain and Paris, France. Jérôme Saurin is creating "La Relation d'Être" approach, which is an innovative mix of Hypnosis, NLP & energetics with a spiritual dimension. The first module is about Hypnotic Calibration and includes how to use the intuitive body knowledge with calibration to create and play with trances. It is a fast, simple, and efficient way to respect the client's model of the world and get nice results by also giving easy task prescription to empower the client. A quick way to describe himself in three words would be : Hypnotic Clown Globe-Trotter !" Want to know more ? Check out his website. Feel free to contact Jérôme Saurin for any questions! Coaching people to become who they really are, I support them in fulfilling their potential and to live their lives in excellence. My clients come to me with challenges originating in their private lifes, their business environment or in their sport careers. - by consulting, training, coaching. Purpose and focus of my work: Give tools to people to enhance the quality of their personal and professional lives. This is done through teaching NLP Practitioner and Master Practitioner, as well as offering seminars in the areas of creativity, stress reduction, coaching, mind management, organization and improvisation. Nach 40 Jahren Berufspraxis als Psychotherapeut und Dozent biete ich seit 2015 privat noch persönliche Gespräche an – geprägt von NLP und vielen Lehrjahren bei Frank Farrelly. 2003 kommentierte er ein Video von mir bei der Arbeit augenzwinkernd mit: „This guy is dangerous!“ Gefährlich für starre Verhaltensroutinen – die beste berufliche Qualifikation, die ich je erhalten habe! After her studies at the Universities of Berne (Switzerland) and Bordeaux (France), Madeleine began to specialize in holistic methods. Today she runs her own business. She develops and gives courses in communication, personal development and teacher trainings, always connecting mind, body and heart. For years, she has shown a profound interest for the latest developments in teaching, learning and change. Her strength is to coach teams and individuals in change processes, as well as to run creative and active workshops like "Leadership through Appreciation" - "It needs two to tango: lead and follow" - "Lead a cat and you will lead anybody else". Die Kernkompetenz meiner Arbeit mit NLP liegt im Selbstmanagement, in der Jugend- und Erwachsenenbildung und in der nachhaltigen Kommunikationsarbeit. Auch verbinde ich NLP mit Sprach- und Schreibcoaching zu einem persönlichkeitsfördernden Prozess. Betone die Einzigartigkeit jedes Menschen und vertraue auf seine (z.T. verborgenen) aktivier- und integrierbaren Fähigkeiten. Eröffne neue Wahlmöglichkeiten. Suche – je nach vorliegender Thematik – die Lösung eher im Individuum oder in der Beziehung. zu Anderen. Professeur à la Haute Ecole d'ingénierie et de gestion du Canton de Vaud HEIG-VD Coach personnel depuis 1984, coach personnel et professionnel depuis 1996. Académique: Professeur à la HEIG-vd elle est responsable du cours « Communication Coaching » dans les études Postgrades Human-systems-engineering HES-SO, elle crée actuellement un cours postgrade "Méta-coaching" qui sera une spécialisation dans le MAS (Master in advanced studies dès 2007). Commercial: Consultante et partenaire de Consulting & Management Team s.a, divers mandat dans commerce de luxe, assurance, fusion d'instituts pédagogiques, elle a aussi une expérience comme conseillère en personnel et responsable de formation. Culturel : Directrice du Centre culturel de Montreux pendant 12 ans elle a managé, dirigé et promu des événements culturels (30 ans du festival de Jazz Montreux), ainsi qu'organisé et animé des séminaires dans le domaine de l'expression artistique, de la communication et du développement d'équipe. Médico-social, Elle a exercé les fonctions d'assistante sociale, d'éducatrice spécialisée, et d'animatrice socioculturelle. Diplôme d'Etat de Travail social (F), Diplôme d'Etude Postgrade en Human Systems Engineering HES_SO, Diplôme de l'Institut Supérieur du Management (ISMA). Cours postgrade "Management des Organisations Internationales" à l'IDHEAP (Institut des Hautes Etudes de l'Administration Publique). Formation en coaching, gestalt thérapie et rebirthing. Consultante accréditée au Léonardo 3.4.5. Riche d’une expérience de plus de 10 ans dans la vente, enseigne la PNL depuis 2004. Son dynamisme et sa passion pour les humains ainsi que son goût de la performance ont poussé Anne Marie à créer et à développer des outils d’excellence avec la PNL qui accompagne l’individu dans l’apprentissage et dans son développement et cela avec élégance associant plaisir et confort. Alexandre Krstic is an international consultant and trainer. He designs, facilitates and manages training or group activities, which deliver useful results thanks to the art and science of influence and dialogue or personal and operational efficiency. 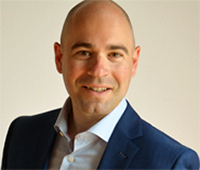 Alexandre supports teams, employees, managers and leaders in many organisations active in technology, industry, medical areas, insurance groups, agro and pharmaceutical fields, as well as academic environments. 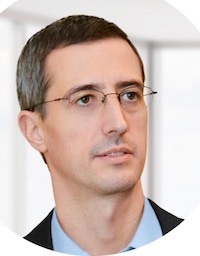 Alexandre is a former business computer analyst who brings 20+ years of business experience as a specialist and manager in areas linked to IT, marketing, technical sales, operations and training. He is a certified trainer in adult education and a certified NLP trainer; he loves to use scientific and creative ways in all his activities. Alexandre works in English, French and German. Andy works delivering and designing training programs for a wide variety of companies, applications and people as well as continuing his work with private clients. His innovative approach delivers fast results as seen on BBC3. He has delivered training in England, Spain, France and Australia and looks forward to many more countries and people who know they can achieve more. He loves to see them unlock their potential. 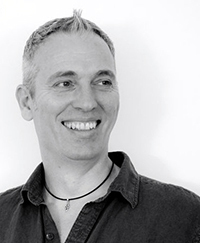 David has worked as a theatre director, teacher and performer since 1989, as an NLP coach since 2004 and as an SNLP trainer of NLP since 2007. 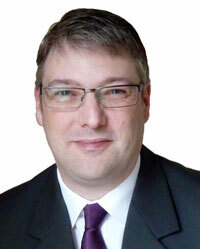 He is passionate about helping people, using a combination of NLP approaches and hypnosis. "David Rose is a highly talented and gifted teacher of Hypnosis and NLP, he also produces some of the highest quality audio products on Hypnosis and NLP that I have ever listened to. I listen to a lot of Hypnosis and NLP products but David's are in a class of their own. They really are wonderful products!" Mark first become involved with NLP for management of change whilst managing a manufacturing business in the West Midlands. The impact for both his staff and himself was so simple yet profound that it led him to develop a passion for what he now terms ‘Human Engineering’ . 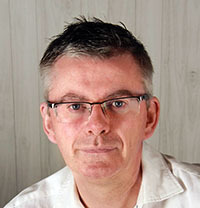 He also trained in Hypnotherapy at Stafford University, Human Givens and CBT (cognitive behavioural therapy). The application of behaviour and belief change in business. The first came about due his love of tai chi and his wife being a nurse in the NHS. This lead him to develop training programs for medical professionals combining ‘NLP in Healthcare’ with improved physical mobility and well-being for patient groups e.g. COPD, CCF, Cardiac rehab etc. The second came from his own experiences of change management where limiting beliefs have created destructive behaviours within organisations thereby severely hindering their growth. With the manufacturing sectors focused on Lean, 6-sigma, 5S etc. Mark often own refers to NLP as ‘Lean Mind Management’ when elegance of interaction makes the real difference. Facticity® Trainings provides the "how" in creating a smooth interface between the psychological and spiritual dimensions of your life - particularly in the area of decision-making. Like fish that live in the sea, we live in an ocean of Paradox and Unresolvable Dilemmas - but with little awareness of their presence or effect upon our lives and choices. Facticity® is a model of the Psychology of the Mystics revealing a completely different way to live with Paradox and the most fundamental Unresolvable Dilemma of being both human and divine. Facticity® offers training in Paradox Management, a unique skill designed to shift normal psychology to match the Psychology of the Mystics. This accelerates the emergence of inner peace, emotional balance, and practical wisdom in daily life. Purpose: Creating greater levels of peace, joy, and harmony throughout the world by helping others realize their own resources and potential. Focus: I provide personal coaching/consulting sessions and my company also offers public personal development programs and corporate trainings. 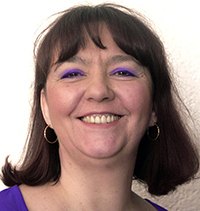 Leelja Baur-Davidson is a certified Hypnotherapist, NLP-Trainer & Instructor, Minister and Shamanic Practitioner with extensive experiences as a healer, psychotherapist, and teacher in Germany and the United States. 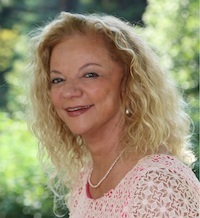 She uses a blend of proven value communication techniques, theta-healing techniques, soul-coaching and shamanic healing techniques to facilitate growth for individuals and groups. 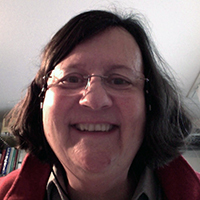 Susan Stageman, M.A. is a Master NLP Practitioner and Certified Trainer through the Society of Neuro-linguistic Programming. In her practice, she trains both individuals and facilitates group sessions in Neuro-linguistic Programming. Her areas of expertise include communication and use of language, building productive relationships, how to know and get what you want, and changes in behaviors, beliefs and identity. Susan received her trainer certification from Christina Hall, Meta Master Trainer, her brief therapy training from Robert McDonald, Health Practitioner Certification from Robert Dilts, Tim Hallbom and Suzie Smith, and her hypnosis certification from Tim Hallbom and Nick LeForce. 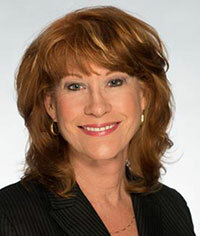 She is a member of the Society of Neuro-linguistic Programming and American Society of Trial Consultants. 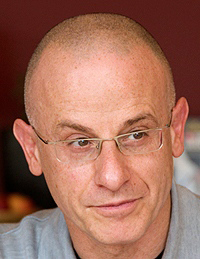 Michael DeMolina, MS, Ph.D. (c) has twenty-five years integrating NLP into his counseling practice, resulting in a unique blend of Neuro-Linguistic Psychotherapy. As a certified Trainer through the Society, he presents NLP Practitioner and Master Practitioner Certification Courses and a Clinical Hypnotherapy Diploma. Inspired by the work of Steve & Connirae Andreas, he also provides seminars on Eye Movement Integration Therapy and is a licensed trainer for the Core Transformation process. Michael also travels internationally, leading workshops in Projective Dreamwork and in Energy Psychology. 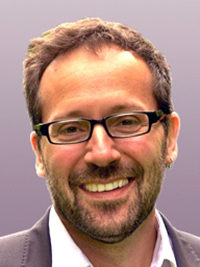 He is the Lead Trainer of EFT (Emotional Freedom Techniques) for ACEP: The Association for Comprehensive Energy Psychology. Blending playful humor with a deeply safe experience of transformation, Michael is absolutely dedicated to the exploration of each person’s individual journey, personal or professional. He is Chairman Emeritus of the National Qigong Association (USA), and co-founder of Wisdom Traditions, an Integrative Health & Wellness Center. With over three decades of experience in NLP and Ericksonian Hypnosis, Michael is an international trainer and consultant. 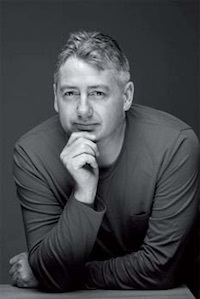 He is on the training staff of Salad Seminars (UK), NLP Comprehensive and the UP Hypnosis Institute in the US. 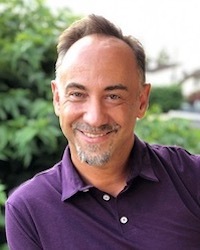 Offering Certification programs and SuperVision groups for NLP Practitioners, Master Practitioners and hypnotherapists, he is a licensed presenter of the Core Transformation Process and faculty member of the Hypnosis Practitioner Training Institute. 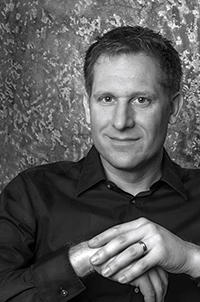 Frequently presenting at conventions and workshops, Michael is a former president of the Hypnosis Education Association, a member of the International Medical and Dental Hypnotherapy Association, the International Association of Counsellors and Therapists (former Educator of the Year), and Director of Phoenix Services for Personal Development and NLP Florida. His lighthearted and caring style make Michael’s training programs as entertaining as they are valuable.